Flora: Eleocharis sp. Japan, Eleocharis minima, Eleocharis acicularis, Elatine triandra, Calitriche sp., Staurogyne repens, Bucephalandra sp., Microsorum sp., Limnophila Vietnam, Fisidens fontanus, Riccardia chamedryfolia, Taxiphyllum sp., Vesicularia sp. 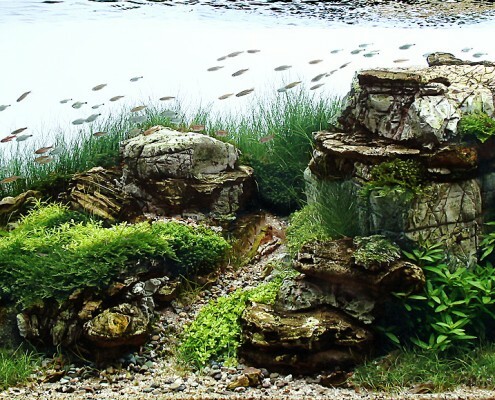 Fauna: Hyphessobrycon elachys, Hyphessobrycon amandae, Danio choprae.